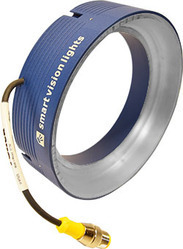 Our range of products include smart vision light - multi-zone ring lights rm75 -4z series, smart vision light - multi-zone ring lights rm140 -4z series, smart vision light - mini linear lights (bar lights) - lm45 series, smart vision light - mini linear lights ( bar lights) - lm75 series, smart vision light - ddl dome light series - ddl-100 and smart vision light - ddl-150 - dome light. The built in driver includes the Multi-Drive™ feature which will allow the user to operate this light in constant ON operation or OverDrive the linear depending on wiring method. 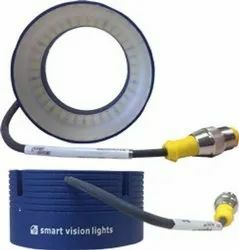 The industry standard 5 Pin M12 connector makes for simple wiring and the multiple lensing options gives this light a broad spectrum of illumination area. The 0-10V analog control gives the user total control over intensity. The built in driver features the new Multi-Drive™ feature which will allow the user to operate this light in constant ON operation or OverDrive the linear depending on wiring method. 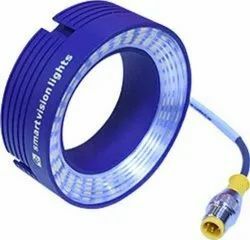 The industry standard 5 Pin M12 connector makes for simple wiring and the multiple lensing options gives this light a broad spectrum of illumination area. The 0-10V analog control gives the user total control over intensity. Power A separate power supply for OverDriveTM mode (high-pulse operation) is recommended. The LWE150 features a stainless-steel enclosure specially designed for food industry and washdown environments where water and harsh detergents are present. The LWE150 has an integrated Multi-Drive™ constant-current driver that operates continuous operation or in OverDrive™ strobe mode, depending on wiring configuration. NPN or PNP trigger signals can be used to control the pulse of the light. 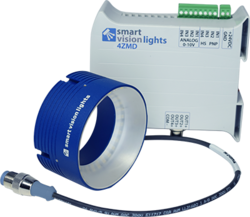 Intensity of the light can be controlled via 1–10V DC analog signal line. The LWE150 is rated for IP68. 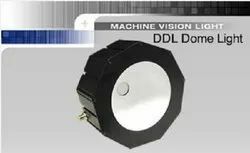 MOBL series HIGH OUTPUT: High Power Backlights for the machine vision industryThe MOBL series of LED Backlights provide high output diffuse light. 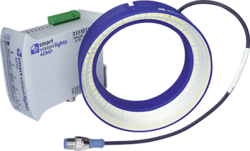 Lights are specifically engineered for high speed packaging and bottling lines. The MOBL is an area lit light using large die high power LED’s. Frame is 45mm industrial aluminum profile. 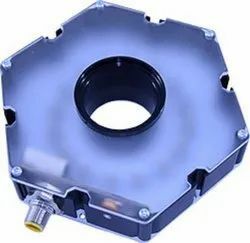 Aluminum housing is engineered to maximize heat dissipation of LED’s. 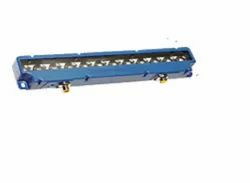 Standard T-slot channel is used on light for ease of mounting.MOBL Backlight sizes available in custom or standard sizes. ODMOBL series ULTRA-HIGH INTENSITY: Extreme Power BacklightsThe ODMOBL series of LED Backlights are ultra-high intensity diffuse light. 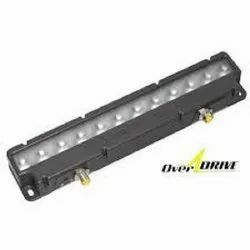 The ODMOBL is an area lit light using large die high power LED’s and is strobe only for "extreme output". Frame is 45mm industrial aluminum profile. 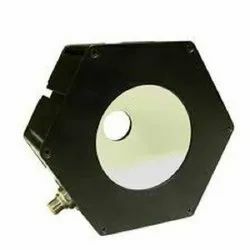 Aluminum housing is engineered to maximize heat dissipation of LED’s. 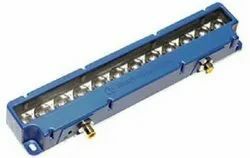 Standard T-slot channel is used on light for ease of mounting.